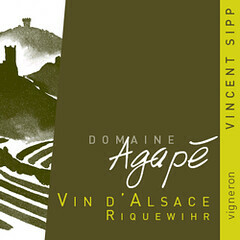 CoolVines and Blue Point Grill announce a special evening of food and wine with Isabelle Boxler-Sipp of Domaine Agape. Chef Steven Murray of Blue Point Grill has created a custom 4 course tasting menu of fresh seafood specialties to pair with these small production wines from Alsace. I’m in. My favorite restaurant in Princeton and some pretty hot sounding wines. I thought the Blue Point Grill was a BYOB? Did they get a liquor license? No, they’re still a BYOB, so CoolVines had to do some special paperwork in order to do this. New Jersey’s twisted regulations…(not that we’re the only state so challenged in that department).